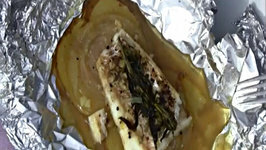 Grilling fish in aluminum foil packets with a beer braise adds a new dimension to this easy meal cooked on the grill. Karen Ahmed cooks a biriyani feast when last minute company comes to call. 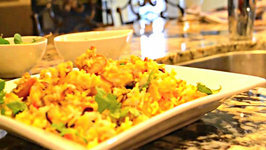 This flavorful biriyani is made with shrimp and fish with basmati rice. 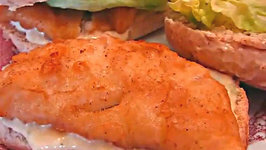 In this video, Betty demonstrates how to make Batter-Dipped Fish Poorboy Sandwiches (using Tarragon-Chive Sandwich Spread.) 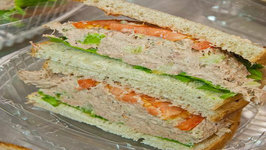 This is a delicious and fun sandwich to make! 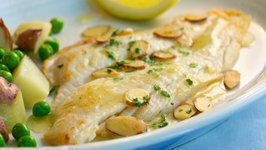 A truly fast food, this uncomplicated fish entrée can be served with easy and quick sides like buttered new potatoes and peas. 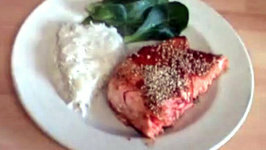 In this video, Betty demonstrates how to make Dill-Marinated Pan-Seared Salmon Fillets. 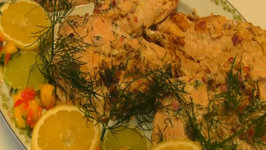 This recipe is for 6 salmon fillets that are chilled in an aromatic dill marinade ..
Rich in proteins and omega 3 fatty acids with a hint of buttery taste. Perfect snack to carry and quick to make. 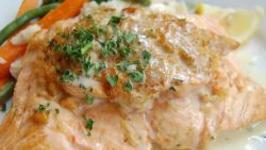 This is a healthy fish recipe where the fish fillets are not deep fried. 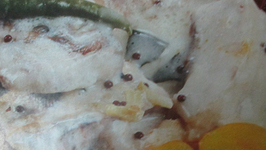 The coconut milk adds to the nutritive value of the dish along with enhancing its taste. 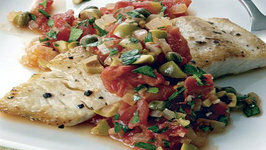 Juliana teaches you how to make fresh sword fish with olives, capers, and mint leaves. 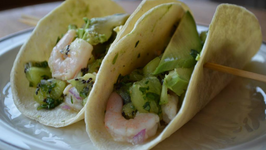 This Mediterranean Diet recipe is delicious and easy to make for your healthy meal plan. 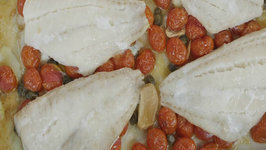 Watch Chef Brian make a stuffed Tilapia fish as an alternative to turkey for thanksgiving. If you have non-meat eaters over for the big day, this is a great recipe to put ..
Meen Achar/ fish pickle is a very pricy dish on palette of Keralite non-vegetarian food lovers. 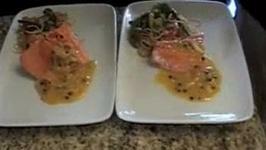 Fishes such as seer fish, sardine, prawns, butter fish, pomphret, ..
Great delicious salmon fish dish, easy to make at home!!! 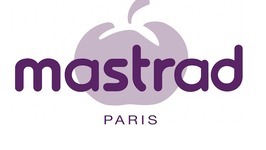 Only fresh and healthy ingredients! You will love it and your friends and family as well!! It has a sweet ..
My way to utilize le gobbler. Part deux. My way to utilize le gobbler. My latest video. How to make a proper buerre blanc. (aka) White wine butter sauce. It is accompanied with a filet of salmon and a veggie pasta. Please enjoy!! 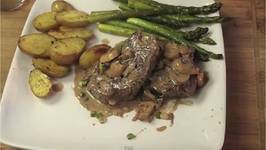 A classic steak dish, usually cooked table-side. Very fun and easy cook!